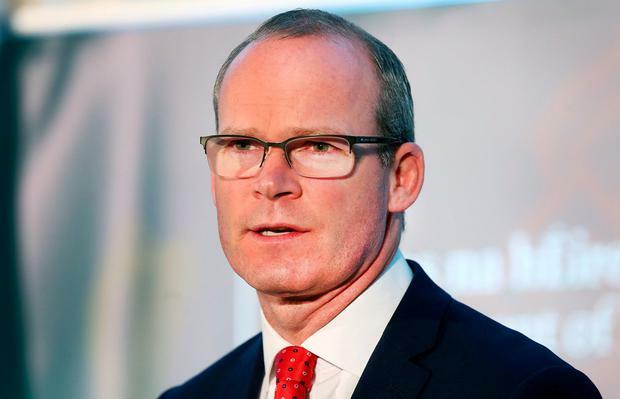 Tánaiste Simon Coveney has criticised Sinn Fein today for “sitting on their hands” as important Brexit decisions impacting Ireland are being made in the UK. Speaking on Newstalk Breakfast, he said that Sinn Fein’s refusal to participate in these decisions have led to some votes being passed, which could have been avoided. On Monday night, MPs in Westminster voted in favour of a law designed to create an independent customs policy after Brexit. MPs voted 318 to 285 in favour of the customs legislation, known as the Taxation (Cross-Border Trade) Bill, which will allow the British government to levy duties on goods after leaving the European Union. “What was voted through this week in the case of a backstop was that Northern Ireland can’t be treated differently in a custom check requirement to the rest of the UK,” Mr Coveney said. He said that “some amendments voted in were not helpful,” but they have the capacity to be changed. The Tanaiste also stated that it is necessary to keep a distance from the issues in Westminster. He also said that as long as Britain continues to “negotiate with itself”, the real negotiations with the EU cannot begin. Since the Brexit referendum, all parties have urged the party to forgo its long-standing abstention policy to take its seats and vote on Brexit legislation to benefit the country. A series of key votes were held in the House of Commons on Monday, including one which put on a legal footing the UK’s position that Northern Ireland cannot have a customs arrangement separate from the rest of the UK. Sinn Féin Brexit spokesman David Cullinane ruled out the prospect of the party taking seats for any future vote on a final Brexit deal and said key Irish issues would be “won and lost in negotiations”. He said not all of the votes that took place on Monday could have been affected by Sinn Féin taking up its seats. The Cabinet will meet today to discuss preparations for a no-deal Brexit in Derrynane, Co Kerry today. Mark Bain He is, as they say around these parts, some pup. Independent.ie Newsdesk UK Prime Minister Theresa May will attend the funeral of Lyra McKee in Belfast today, Downing Street have confirmed. Rachel Farrell AN overhaul could see Dublin's Phoenix Park transformed into a new 'visitor experience' with dedicated transport lanes, new tourism centres and even a funicular.